Amy Jackson, LCSW, MPH, is a Tennessee native who has called New Orleans home for seven years. 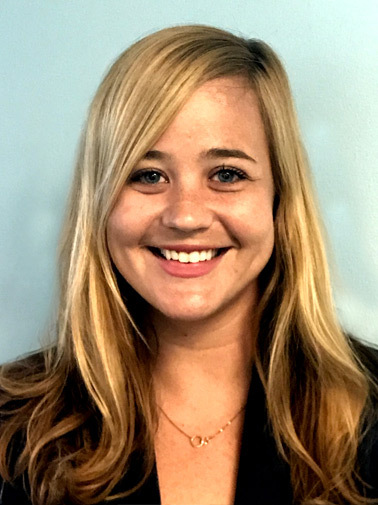 Amy graduated from Sewanee: The University of the South with a BA in psychology and holds a dual master’s degree in Social Work and Public Health from Tulane University. A licensed social worker, Amy began her career as a counselor with children and adolescents. Following her clinical experience, she became a court advocate for domestic violence survivors at the Orleans Parish District Attorney’s Office for three years. During this time, Amy gained a knowledge of the criminal justice system in New Orleans through the lens of the survivor experience, and became passionate about advocating for survivors of gender-based violence. In 2016, Amy became the Blueprint for Safety Coordinator at the New Orleans Health Department. The Blueprint for Safety is the evidence-based, survivor-centered domestic violence policy for the criminal justice system in New Orleans. Through this role, she monitored policy adherence and coordinated training for criminal justice practitioners on improving the criminal justice response to domestic violence. In her spare time, Amy enjoys traveling, yoga, and enjoying the food and festival scene in New Orleans. Amy is very excited to continue her advocacy work at STAR and hopes to sustain STAR’s important mission with her leadership.